At MTI they taught us about paradox in our hearts- seemingly contradictory thoughts/feelings about the same issue. 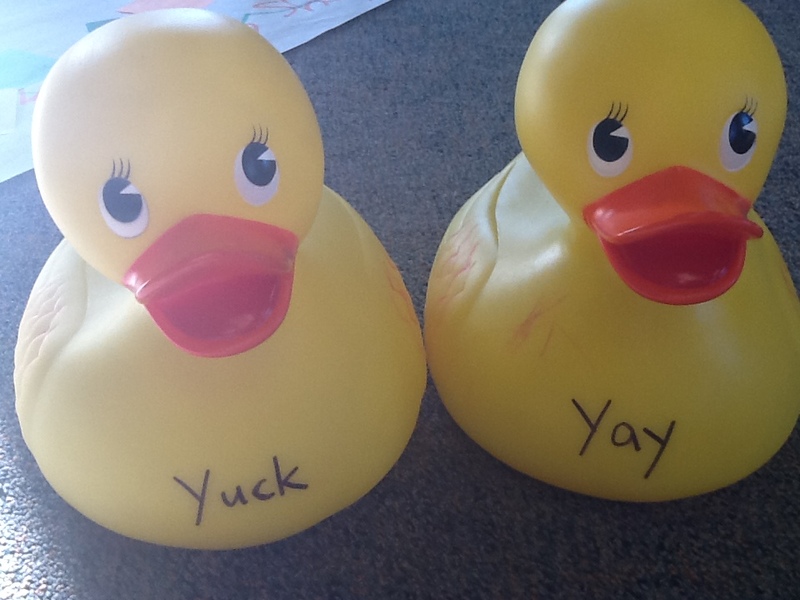 They used a pair of ducks to illustrate this point- the yay duck and the yuck duck. We can have a whole range of feelings residing right along side of each other in our hearts. I didn’t realize how true that would be! I have so many different emotions in my heart after such a short time of being here. My heart feels ready to burst with how much I love this place and these people. I’m sure some of it has to do with the “honeymoon” stage of cultural adjustment, but I think there is a deep down love that God has given me and I am asking Him to keep growing that love. I feel sad to be missing out on so much going on at home- getting to know my future brother-in-law and helping my sister plan her wedding, being able to talk to my siblings and parents for longer than the 10 minutes our internet connection lasts. There is a frustration over the brokenness I see and a longing to see transformation come. I feel inadequate for this task, when I have studied and studied and then can’t understand a simple question rephrased just a bit, or when I just want to read a book instead of talking to people so much (oh language learning as an introvert). Yet, over ALL these emotions is a blanket of peace. It isn’t like the range of emotions have gone away but rather God is letting me experience them while guarding my heart from these emotions running wild. This is totally from Him because I know otherwise I would be a mess by now! On my own I am not up to this task, and that is why I must keep running back to Him. I keep examining my heart through His eyes and naming the yay and yuck ducks (and all their friends), and keep walking this journey, holding the hand of my Savior. Philippians 4:6-7 Do not be anxious about anything but in everything, by prayer and petition, make your requests know to God. And the peace of God, which transcends all understanding, will guard your hearts and your minds in Christ Jesus.